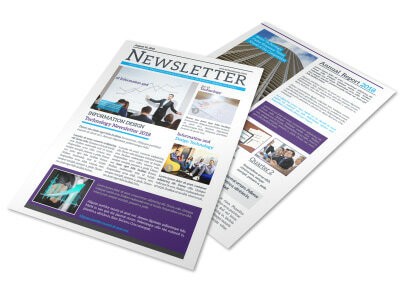 Take the fast route to newsletter creation with business services newsletter templates. Choose a template from our inventory, and add custom touches to make the design your own, including a layout, color scheme, font, and more. 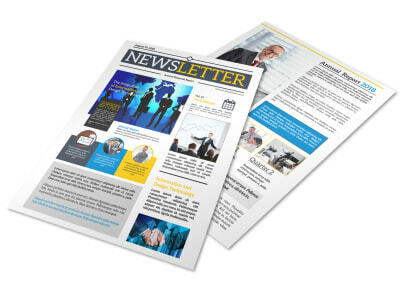 Insert your own photos, add photos from our library, and manipulate the template to create a unique newsletter you can be proud to distribute to your B2B or B2C clients. Settle in with our online editor and get your newsletter print-ready in no time flat.